Ask the Bruins the reason for their success and two words come up repeatedly: System and confidence. The Bruins have about 30 players, between Boston and Providence, playing better than they ever have. Michael Ryder is one of them. Ryder played for Julien when he coached Gatineau in the Quebec Major Junior Hockey League and for the Montreal Canadiens. Twice a 30-goal scorer in the NHL, Ryder slipped to 14 goals under Guy Carbonneau last season and was faulted for lax defensive play. The Bruins were criticized in the summer for giving Ryder a three-year deal when some people thought he was done. Julien, though, had a plan for reviving Ryder. It took awhile but Ryder ranks No. 25 in the NHL with 17 goals, has 32 points, is plus-22 and leads the NHL with seven game-winning goals while playing with Krejci and Wheeler. "I hope he's been enjoying his season a little better," Julien said "He's on a team that's been winning a lot of hockey games. When you lead the League in game-winning goals, it's got to be a lot of fun for him. I think he's found a pretty comfortable niche here where he's enjoying himself with the guys and the guys appreciate him." Scotty Bowman wasn't happy with Brett Hull's play in the first two games against the Carolina Hurricanes in the 2002 Stanley Cup Final. Bowman was walking in the hallway outside the Red Wings dressing room when Hull arrived for Game 3 and in that distracted, apparently absent-minded way of his, Bowman asked, "Brett, were you with Dallas in '99?" Of course, Hull scored the Stanley Cup-winning goal for Dallas in 1999, and Bowman's jibe hit its mark. Hull was fuming, went out and scored one of his greatest deflection goals and led his team to another Stanley Cup in five games. Coaching is a combination of teaching a style of play, preparing for the opponent, bench management and motivating players; different buttons for different people at different times in different situations. 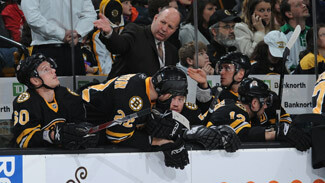 Boston Bruins coach Claude Julien is showing he's adept at all those elements this season. Of course, this isn't the first time Julien has been successful as a coach. He entered the season with a 160-115-45 in 360 NHL games in five seasons with the Montreal Canadiens, New Jersey Devils and Bruins and was a very successful Canadian junior-hockey coach. The Bruins lead the Eastern Conference with a 32-7-4 record, earning Julien the honor of coaching the East squad in the Jan. 25 NHL All-Star Game (6 p.m. 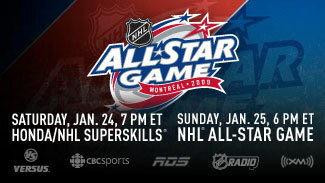 ET, VERSUS, CBC, RDS, NHL Radio) in Montreal's Bell Centre. Yet, Julien deflected credit for that accomplishment. "It's a great honor, but it's caused because of the people around you,” said Julien, giving credit to assistants Craig Ramsay, Geoff Ward, and Doug Houda. "The head coach always gets the credit. Yet his assistant coaches around him do an unbelievable job. I think going there and representing our team is the right term. It's because of the people around me that I get the opportunity to go to that game." Julien is earning raves from fans, the media, his boss and players for a system of play that is simple to understand, yet exhausting to execute and play against. It keeps down the goals against, and produces multiple scoring opportunities in transition. "It has been amazing. I've been here for three years now and it's been amazing how we've come along and taken such huge steps," said first-line center Marc Savard, who has pulled off the biggest surprise of the 2008-09 season by leading the NHL with a plus-29 rating. "But we know what we've been doing to get there. We've been working hard and the coach has put in a system. We've really taken off since then and it's been a whole team affair ever since." Descriptions of his morning practices are a constant feature of media coverage as Julien drills his players frequently in elements of strategy or in preparation for the skills of upcoming opponents. "Be good defensively and create offense," Savard answered when asked to describe the basic concept. "You always have the respect for defense in your head and you always want to get back on every play and clog up the neutral zone. It's pretty simple, but he works on it day in and day out and that's why we're pretty good at it." Julien ran a 70-minute practice before a pair of home games against Minnesota and Buffalo two weeks ago. There were line-rush drills, slap shot tip-in drills, 3-on-1 passing-attack drills in close, support-the-puck-carrier drills and breakout drills. Specific needs for the upcoming games were being addressed. "Just touching up with different things," Julien explained. "Angling is a big part of our game now and that kind of stuff. I thought it was a good day to work on that part of our game, especially in preparation for the next two teams we're going to play, Minnesota and Buffalo." Bruins General Manager Peter Chiarelli has made bench management much easier by providing three capable scoring lines and a shut-down line centered by Stephane Yelle, an old veteran nicknamed "Old Sandbox" for his grinding, gritty style. Getting the right matchups is a bigger problem this year for the opposing coach. Julien has been skillful at mixing and matching players following penalty kills and power plays. He can manage a bench. The Bruins lost star penalty killers Patrice Bergeron and Marco Sturm early in the season. That's usually a role for savvy veterans, but Julien has succeeded by replacing them with second-year center David Krejci and his right winger, rookie Blake Wheeler. "We had seen last year Krejci would kill penalties for us and we saw that he was a pretty smart player, so we gave him the opportunity to get more ice this year by giving him that responsibility," Julien said. "We used Wheeler a couple of times and it wasn't a familiar situation for him, but you could see that he was doing things that showed that he could be a good penalty killer." Savard and his right winger, Phil Kessel, have also been killing penalties, leaving offensively oriented linemates like Michael Ryder and Chuck Kobasew on the bench for extended periods. Julien has found combinations that have been effective while the special-teams players rest after those shifts. "It's a great honor, but it's caused because of the people around you." "We've been pretty fortunate that way because we've used penalty killers and at the end we've managed to make some lines," Julien said. "The Ryders and the Kobasews have been sitting for awhile, you can slide them in. We slid Phil in there (one) night at center, a couple of shifts, just to make sure that we keep everybody going. "When you sit on the bench for six or seven minutes, it's not an easy thing. We've got a lot of different looks now. When you look at the Kessels and the Wheelers and the (Vladimir) Sobotkas that are all playing a wing but are also capable of playing center, that makes my job much easier." As for motivating players, Julien has a bushel of tactics. The Bruins are deep in young players who have helped them reach first place in the Eastern Conference. Players have moved constantly between the Bruins and their nearby American Hockey League affiliate in Providence -- getting NHL opportunities, getting Julien's evaluations and praise when earned, and realizing this is a lineup onto which you can play yourself. Then there's the insight and the head games. Nobody gets it tougher than star center Marc Savard, because Julien has always believed Savard was capable of performing at this level. He's not going to let him slip back into his old slack defensive ways. Best of all, Savard doesn't want to. That's coaching. And, Julien has made his case that he does it as well, if not better, than anybody in the NHL.